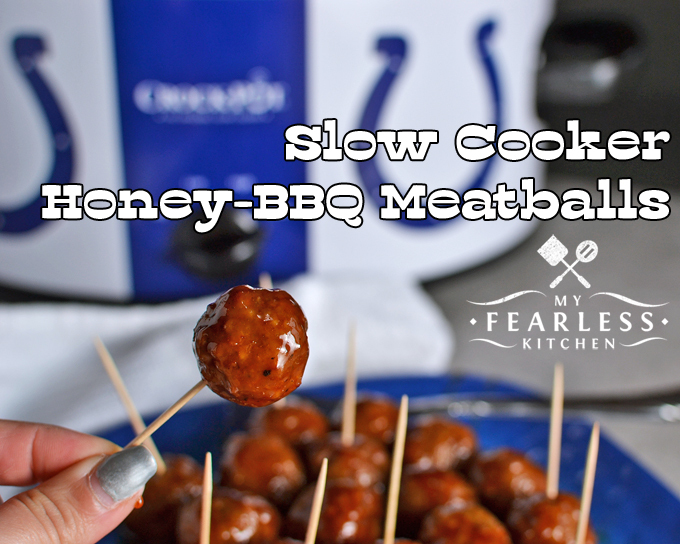 Are you looking for an easy tailgate recipe? 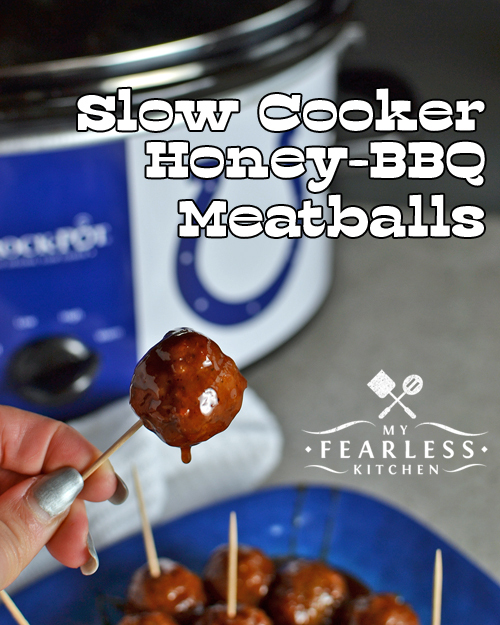 These Slow Cooker Honey-BBQ Meatballs are simple, fast, and oh-so-good! Perfect for an appetizer or any time! If you love sweet and tangy sauces, you will love these meatballs! They are so easy to make… the sauce is 3 ingredients, mix it all together, turn on your slow cooker, and you’re done! I used Heinz Kansas City Sweet & Smoky BBQ Sauce for this recipe. I loved the smoky flavor it gave these meatballs. You can use your favorite BBQ sauce, or whatever you have on hand! The honey means that this is a sticky sauce. I tried it with less honey, but the barbecue sauce really overpowered the honey flavor. I used equal amounts of honey and BBQ sauce, and you could really taste the honey. So good! These meatballs will be perfect for a tailgate party, and afternoon get together, or just an easy dinner. Serve the meatballs by themselves or as a sandwich on a bun. You can’t go wrong! Just make sure you have some napkins, and maybe a handful of baby wipes handy… you’ll get messy! Did you know you can get a Crock-Pot with your favorite team’s logo on it? Not a Colts fan? They have plenty of other teams available! 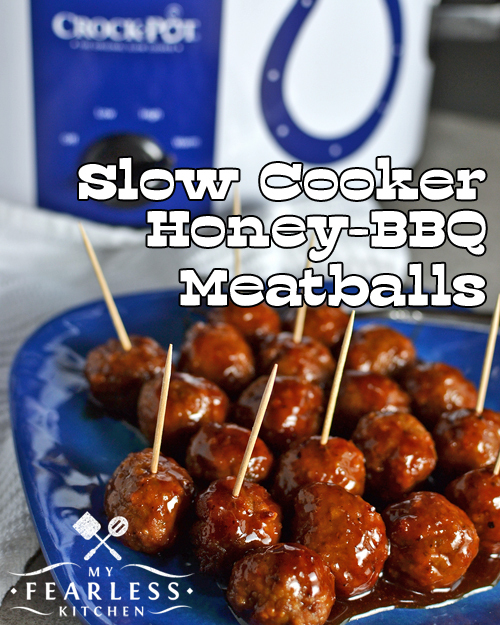 Place frozen meatballs in a 6-quart slow cooker. In a bowl, mix together barbecue sauce, honey, and brown sugar. Pour sauce over meatballs and toss lightly to coat. Cover and cook on high for 2-3 hours, stirring occasionally, until meatballs are heated through.